Did You Know: Kathleen Kennedy Was a Dancer in 'Temple of Doom'?! Home » Film » Did You Know: Kathleen Kennedy Was a Dancer in ‘Temple of Doom’?! Did You Know: Kathleen Kennedy Was a Dancer in ‘Temple of Doom’?! 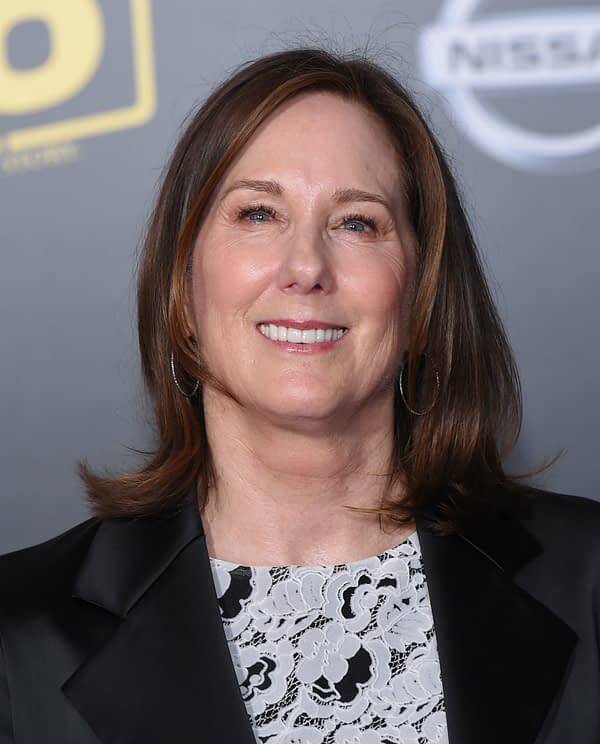 Last night, the annual Governor’s Awards ceremony happened in California, and one of the evenings’ honorees was none other than LucasFilm president Kathleen Kennedy. The long-time Spielberg collaborator and producer received the Irving G. Thalberg Memorial Award, to honor creative producers, whose bodies of work reflect a consistently high quality of motion picture production. Which is wonderful, and we’re very happy to see her being recognized for her YEARS of tremendous work with Amblin and other companies. Okay so aside from the award-honor bestowed on Kennedy last night, the reminder (thanks to Kyle Buchanan on Twitter), that her contributions to the films of Steven Spielberg are not just behind the camera, because…. Kathleen Kennedy was one of the “Anything Goes” dancers from Indiana Jones: The Temple of Doom!